Charles Peck is an American composer whose work has been called “daring” (Philadelphia Inquirer), “vivid” (UArts Edge magazine), and “spell-binding” (Rappahannock News). His music was recently selected in the New York Youth Symphony’s First Music program as well as Call for Scores by several ensembles, including the Kaleidoscope Chamber Orchestra, ensemble mise-en, and the Locrian Chamber Players. He has also been named the winner of the Lake George Music Festival’s Composition Competition, the Symphony in C’s Young Composers’ Competition, the Castleton Festival’s Young Composer’s Forum, and the OFMC Collegiate Composition Competition. Additionally, his music has been featured at festivals including the Aspen Music Festival, the New Music Gathering, the highSCORE Festival, and the Castleton Festival. 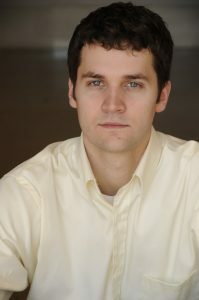 Peck is currently a doctoral student at Cornell University where he earned the Otto R. Stahl Memorial Award in composition. The concept for this piece began with an interest in continual and dramatic contrast. As the music was taking shape, the title Rift & Shade came to represent a visual manifestation of this idea. With only a small rift in the walls of a cavern, a piercing light and a deep shade can coexist in the same environment. The quartet mimics the stark contrasts of this image musically. In the first movement, the contrast is realized with a rapid alternation between several short gestures, each of which occupies a unique sonic space. In the second movement, the quick timbral changes are replaced by extreme registral contrasts, with the violins playing in their highest possible range, while the cello and viola play in their lowest.